Ministers Deri and Erdan propose closure of Holot detention center to remove third option for illegal infiltrators. Interior Minister Aryeh Deri (Shas) and Internal Security Minister Gilad Erdan (Likud) will propose a gradual outline for the closure of the Holot detention center over several months, provided that the plan for the deportation of illegal infiltrators to a third state will begin as planned. In a draft resolution that will be submitted to the government this Sunday, in accordance with the prime minister's policy, the consent of the third countries and the decision of the Supreme Court. According to the decision, the only options available to the infiltrators will be to leave the country or go to prison. In light of this, Interior Minister Deri and Public Security Minister Erdan determined that under these circumstances it is necessary to examine whether the Holot detention center is necessary and if it would be preferable to close the center so as not to provide a third alternative for illegal infiltrators. It was determined that the center would be maintained for at least another three months, in order to determine the necessity of the center while monitoring the rate of departure for third countries by illegal infiltrators. 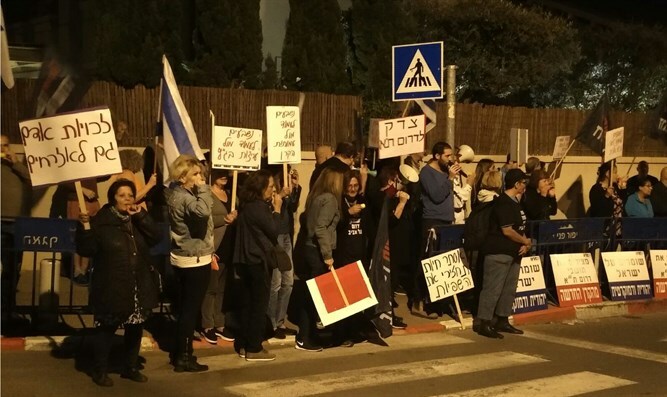 Interior Minister Deri stated: "As I promised the residents of South Tel Aviv and the other residents of the neighborhoods and cities where infiltrators live, I intend to increase the rate of exit to third countries by any means possible." According to Deri, "This is the path set by the government, and this is the path I will take. Our own poor come first, and we must do everything possible to make life easier for the residents of the State of Israel." Public Security Minister Erdan said that "following the Supreme Court decisions that limited the period of stay in the facility and improved the conditions in the facility, the situation created by the Prisons Service is not the appropriate factor for managing the facility, and it does not constitute a significant incentive to leave Israel as it was intended to be." "Closing Holot is the right decision to convey a clear message to the infiltrators: the State of Israel is determined to restore a sense of normalcy to the residents of Israel and to return the tens of thousands of of illegal infiltrators who have settled there," Erdan added.